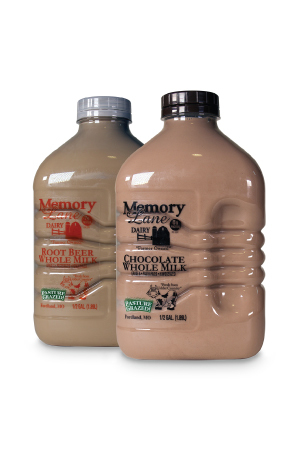 Memory Lane Dairy milk comes from healthy local dairy cows. It is then pasteurized, which is a quick heating and cooling process, and packaged in vintage style bottles. We take every care to preserve the wholesome, healthy ingredients in every drop of our milk. As a division of Hiland Dairy, we distribute three lines of local, fresh, family-farmed milk products to leading grocery stores throughout Missouri, Kansas, Oklahoma and Arkansas. 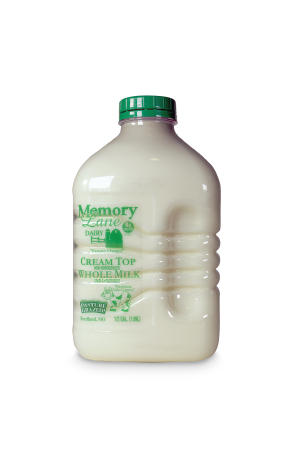 Cream top milk is whole milk in its natural state. Memory Lane milk in these green-capped containers has a naturally occurring cream line at the top of the milk. Simply shake the bottle to mix the cream throughout the milk and enjoy. 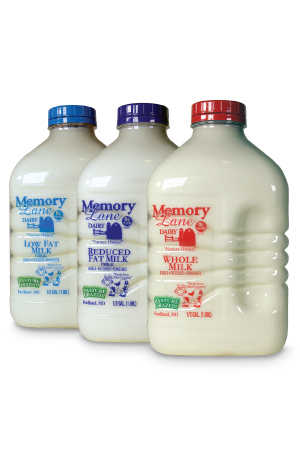 Memory Lane produces three lines of homogenized milk. 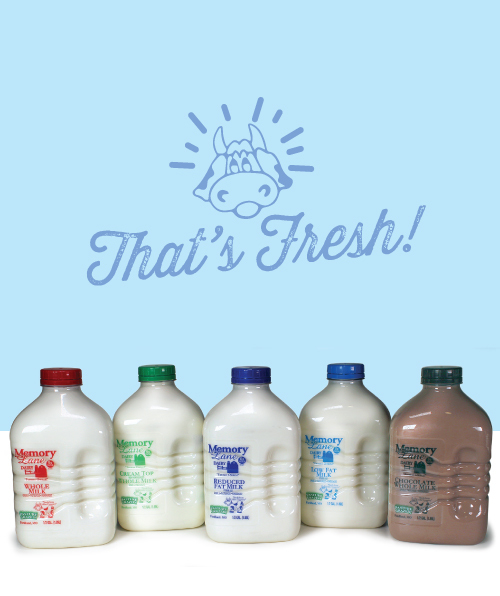 Our whole, reduced-fat and low-fat homogenized milk are convenient and easy to drink. Homogenized whole milk is identified with red caps; reduced-fat with blue caps; and low-fat with light blue caps. Rather than using reconstituted reduced-fat milk, our low-fat and reduced-fat milks are made naturally by separating the cream from the milk. Healthy nonfat solids remain in the milk, giving it a naturally white appearance and fresh taste. 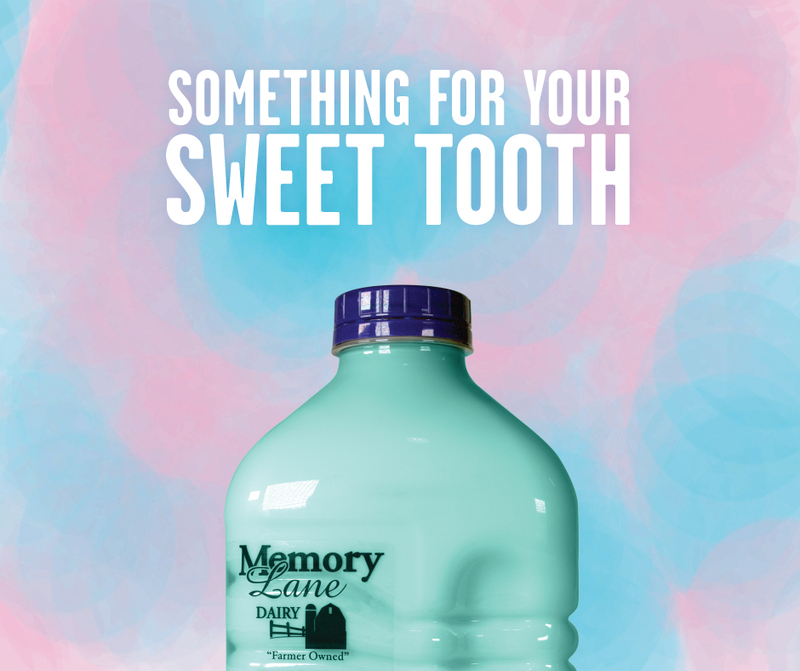 When we have new flavors, we’ll share the information right here, so check back often!